Buckhorn Ratepayers Association – A volunteer group of Buckhorn residence with a love for our community. 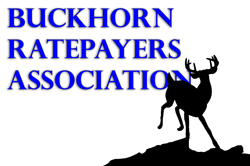 The Buckhorn Ratepayers Association is a group of concerned citizens who wish to better inform the ratepayer members on issues which are common to all. We strive to have guest speakers at our public meetings to educate and inform anyone that is interested on subjects such as the benefits of a community improvement plan, IMPAC, waterfront insurance, Trent Severn waterway, the appearance of our downtown, etc. We look forward to everyone’s suggestions and will work towards guest speakers at our open meetings. Please pass along this website and visit the MEETINGS page for details on our next meeting. Details can be found on the Trent Lakes township website. A new medical walk-in clinic is now available at the Ennismore Pharmacy at 470 Robinson Road. Doctors are available at the clinic via telemedicine and are covered by OHIP. Patients who are part of a family health care team can go to this new clinic. The doctors are able to renew prescriptions for up to six months and can also book patients into specialists. The clinic is open Monday to Friday from 10 a.m. to 4 p.m.